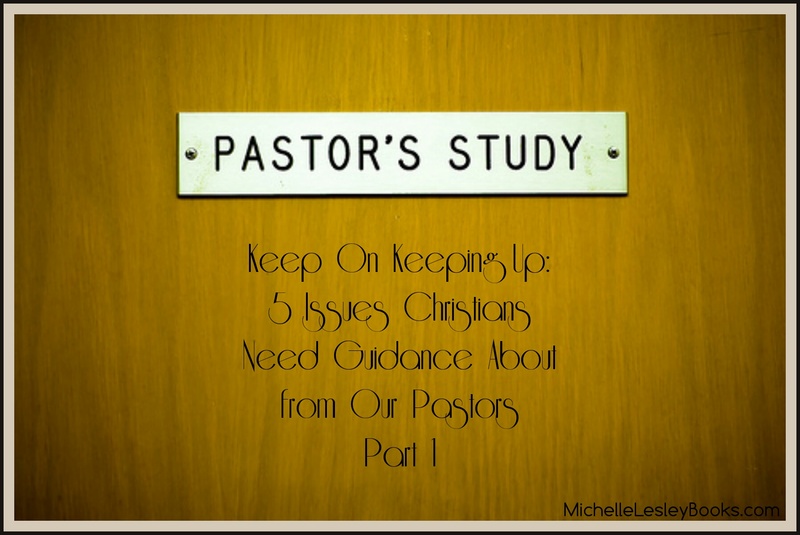 Read Part 2 of this article, “Keep On Keeping Up: 6 More Issues Christians Need Guidance About From Our Pastors” here. Last week, I read a great article by Justin Peters entitled “Ignorance Is Not An Option.” In the article, Dr. Peters addresses a recent incident in which “charismatic theologian, author, and radio host Dr. Michael Brown” claimed not to know about the reputation and heresy of Benny Hinn, one of the most notorious false teachers in the Word of Faith movement. I know about him. You probably know about him. How could someone in Dr. Brown’s position not know at least the basics about Benny Hinn and why no Christian should endorse him? It got me thinking- “ignorance is not an option” applies to far more than this one, isolated incident. We church members desperately need our pastors to keep up with at least the basics of current trends and thought in evangelicalism, and in theology and doctrine. Why? There is a tsunami of materials, ideas, and personalities out there, and church members- even though we should seek to keep abreast, ourselves -need help sorting through it all. What’s biblical? What’s not? Also, pastors need to be informed about who and what they endorse (even tacitly), lest they encourage their church members to follow a person or doctrine that is not in line with God’s word. Celebrity Pastors and Christian Authors: Do you know who Joyce Meyer, Matt Chandler, Rick Warren, Joel Osteen, John Piper, John MacArthur, Andy Stanley, Steven Furtick, Beth Moore, Mark Driscoll, Tony Campolo, David Platt, and Rachel Held Evans are (just to name a few)? Do you know why your people should or shouldn’t be listening to/reading them? What about any controversies surrounding them? Do you have a general awareness of whether they have a track record of, and are currently teaching, sound doctrine or false doctrine? Church members may not know the answers to these questions, but they’re walking into Christian bookstores and buying their books, re-tweeting them, and listening to their podcasts. If a church member comes and asks you about one of these pastors/authors, what will your recommendation be? We church members need our pastors not to go by the pastor/author’s popularity, whether what they write or say sounds pleasing to the ear, how many books they’ve sold, that their stuff is sold at a store you think is trustworthy, or how big their church is. Whether we know it or not, we need your deciding factor to be: Does what they teach consistently match up with God’s word (in context)? Fighting for the Faith: Listen regularly, or make good use of the search box. 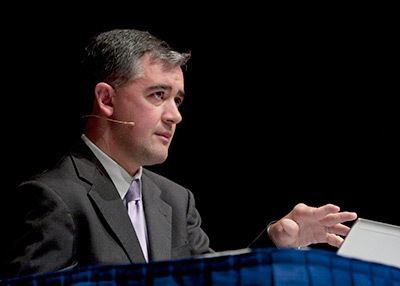 Chris Rosebrough has analyzed the teaching of nearly all of the people in the list above as well as many others. Apprising Ministries: While I sometimes feel Ken Silva’s tone is too sharp, his posts are saturated with links to articles and videos of questionable teachers (plus tons of other resources) that you can check out for yourself. Complementarianism vs. Egalitarianism: In a nutshell, complementarianism is the view that God’s roles for men and women in marriage and in the leadership of the church are different, yet equally important. Wives are to submit to their husbands, and husbands are to lovingly lead their wives and children. The roles of pastor and elder are reserved to men, and women are not to teach the Bible to men or hold authority over men in the church. Egalitarianism basically says that there are no gender restrictions on any positions in the church, including that of pastor, and that husbands and wives are to be “mutually submissive” to one another, removing any distinctive definition of headship. The church, and women, especially, have been heavily influenced by culture on this issue, but what does God’s word say about it? Cessationism vs. Continuationism: Did the “miracle” or “sign” gifts such as speaking in tongues/other languages, healing, visions, direct revelation from God, raising the dead, etc., come to an end with the closing of the canon or death of of the last apostle, or do these gifts continue in the same way today? Calvinism vs. Arminianism: I don’t think I could boil down the tenets of Calvinism or Arminianism to a brief paragraph in any sort of way that wouldn’t have people on both sides hot under the collar. This has been a strenuously debated topic, particularly for Southern Baptists, for the last several years. So, let me just say, and I’m sure everyone on both sides can agree, it is extremely important to know what the Bible says about our sin nature, free will, election and predestination, and whether or not a person can lose his salvation. These are weighty issues with eternal consequences that shouldn’t be dealt with lightly or in a way that seeks to reinforce our own opinions at the expense of what God’s word says. Homosexuality In the Church: Homosexuality is certainly not the only sin out there, but it’s the sin that’s the hottest topic right now. Do you know the Scriptures that address homosexuality? Do you know how to answer the canard: “Christians say that homosexuality is against God’s law, yet they eat shellfish and wear garments of mixed fabrics, which is also against God’s law,”? What would you tell a church member who thinks it’s not loving to call homosexuals to repent of their sin and trust Christ or that godly “love” means we should validate their sin? Do you know how to help Christians who are former homosexuals deal with temptation to their old sins? Is it biblical to allow unrepentant, practicing homosexuals to serve in leadership positions in the church? Things like this may be going on in your own denomination, so it’s important for church members to be trained in what God’s word actually says. *The resources given are obviously not an exhaustive list. For the most part, they are resources I have used myself, found to be helpful, and trust to be generally doctrinally sound. There are many other wonderful resources out there, but, naturally, our most important resource is to compare all things to God’s word in context.